I can’t believe this one worked! On January 7, 2015, I washed my hair with baking soda, rinsed with diluted vinegar, and my hair felt great. I was totally amazed. My hair was squeaky clean and, after using the diluted vinegar rinse, not difficult to comb out. I wonder how much shampoo and conditioner I’ve used over the decades. It’s not something I tracked. I just always had shampoo to use, and when the bottle was empty, I bought more without question. It’s just what we do. I don’t disagree that baking soda is alkaline. It is. I do disagree about the damage it will cause with use. Maybe it’s long-term use that causes all that chaos but so far, I have not seen any adverse affects. I was seeing quite a bit of drying with the last shampoo I was using-the one that claimed on the label that it would do just the opposite of that. Even with a conditioner, the ends of my hair were starting to resemble straw. Use caution. Baking soda can be harsh. After a stab at making deodorant, I found I am a bit sensitive to baking soda. My underarms were red and itchy after using the DIY deodorant. Once I stopped, all problems cleared up quickly. I haven’t done it yet, but I intend to try homemade deodorant again using less or no baking soda. Stay tuned. The same sensitivity occurred on my scalp. After washing my hair with baking soda, I had a bit of itchiness. So, what did I do? I made sure to get some of the diluted vinegar on my scalp as well as my hair. Problem solved. No more itch. There are, of course, many posts online singing baking soda’s praises as a shampoo. 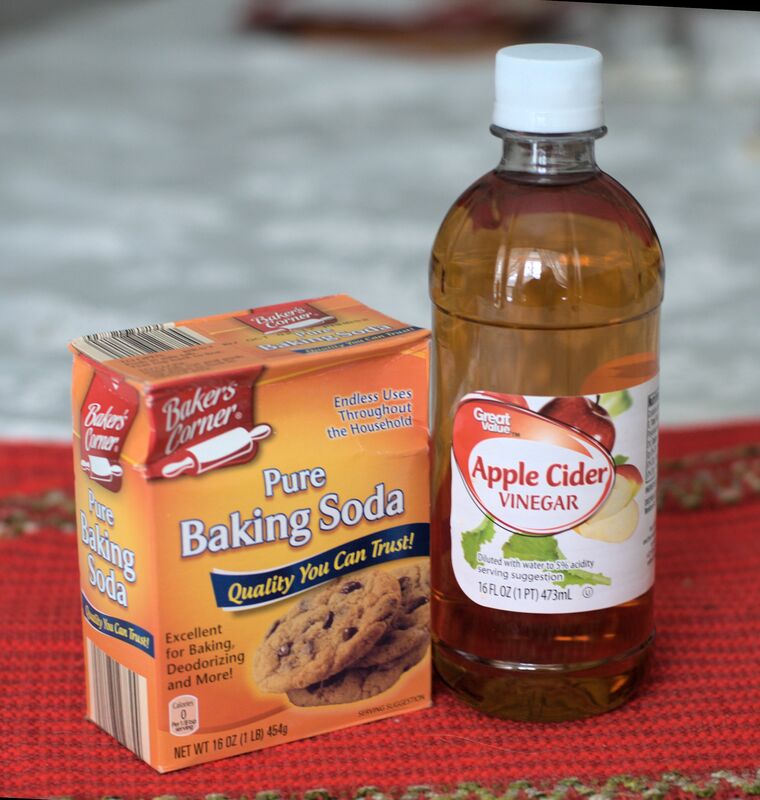 The mixes range from a mild solution to those that call for making a paste of the baking soda with just a bit of water. The first one I found used 1 tablespoon of baking soda in 1 cup of water. This works for my hair. The cost of this is so small, that I really didn’t bother to figure it out. The vinegar rinse is much the same. I use 1 tablespoon of vinegar to 1 cup of water. After you rinse your hair, no vinegar smell will remain. The bottom line on this is that you may have to experiment with your own hair to see what works. It may not work for you and, like some DIY products, this method may only be wishful thinking. Posted on March 10, 2015 March 11, 2015 by Twain FarePosted in DIY Formulas, Frugal SolutionsTagged baking soda, cleaning solutions, DIY, frugal living. There is no wishful thinking. Baking soda really cleans. I found out my hair was hard to comb after it, so I opted for another natural and cheap solutions (clay). I would definetely use baking soda if my hair was short. As for the vinegar, it is best to leave it in your last rinse water. It will smell but the smell will completely disappear as soon as your hair is dry. I always use when rinsing off the shampoo and the hair gets really shiny.